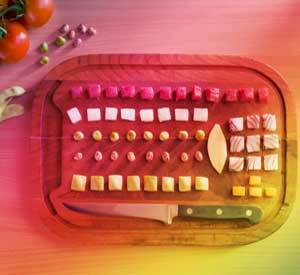 Proactive guidance and tailored insights are becoming a differentiator in financial services. Artificial intelligence (AI), machine learning and eventually the Internet of Things will all play a role in improving a consumer's financial health and well-being. Today, 57% of Americans struggle financially according to research by the Center for Financial Services Innovation. At the same time, as many as three in five consumers say banks are failing to keep up with their need. To win in banking, financial institutions must take steps to serve these customers by helping them improve their financial well being. “Cognitive” Banking – a combination of Artificial Intelligence (AI), predictive analytics and conversational capabilities tailored to financial institutions – provides a huge opportunity for banks to improve their relationships with customers and support them in leading healthy financial lifestyles. Here are a few ways how. 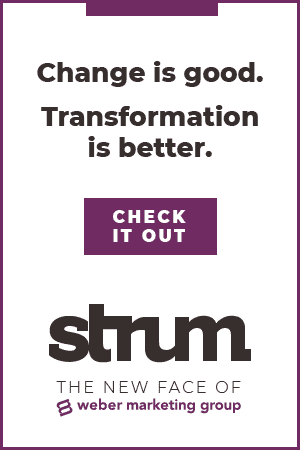 Transforming the love-hate relationship customers have for their banks starts with building trust. 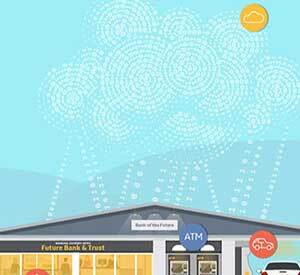 Banks can use predictive analytics to protect customers and delight them. For example, timely notifications about automatic subscription renewals or anticipated deposits that are late demonstrate to the customer that the bank “has their back.” Alerting a customer of an anticipated cash flow issue is an even more powerful insight that actively helps someone better manage his money. With a trust-based relationship in place, customers are more willing to listen to financial advice from their bank. Traditional financial education tends to be generic and boring to the point that most customers simply don’t have the time or patience to deal with it. However, banks can now deliver highly personal, bite-sized and interactive advice leveraging AI and cognitive banking. With a strong user experience and data hose of transaction, account, and online activity, financial education can be fun and engaging for the consumer. For example, banks can quiz customers on their money management practices, nudging them with relevant tips and rewarding them for good behavior. Soon, digital banking will be “like having a digital CFO with you,” projected Eddy Ortiz, Royal Bank of Canada’s VP of solution acceleration and integration at the 2017 American Banker’s conference. This personal CFO will keep customers up to speed on their finances and will condition the consumer to exercise better money management practices. Banks can also play a role in changing people’s spending, savings and borrowing habits. 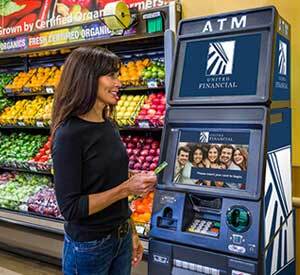 Automated services like bill pay prevent derogatory credit marks and electronic check deposit reduces teller fees. Chatbots provide an exciting channel to facilitate these kinds of actions. For example, chatbots can interact directly with customers, understand their needs, answer questions, execute actions on their behalf, and even enroll them in a personal savings program. Personal conversations built on trust and advice can drive healthier financial decisions over the long term. Helping customers improve their financial health is a win-win for consumers and banks alike. Cognitive banking creates value for banks by strengthening customer loyalty and deepening wallet penetration. A research report by Gallup shows that demonstrating an interest in customer well being is the strongest driver of consumer confidence in one’s financial institution. Studies also show that Millennials are interested in products recommended by a bank they trust. Amongst 18 to 34 year olds, 58% said they are either interested or very interested in their bank proactively recommending products or services, according to a survey by Accenture. There is a strong argument that strengthening financial health has a significant bottom line impact. Here’s an example. Your customer Karen is looking to buy her first home. Over the years, you have built a trust-based relationship with Karen by providing personalized guidance and helping her simplify the day-to-day management of her finances. As Karen gets ready to buy a new home, she is more inclined to trust your bank’s insights and advice and expand her relationship with your organization. 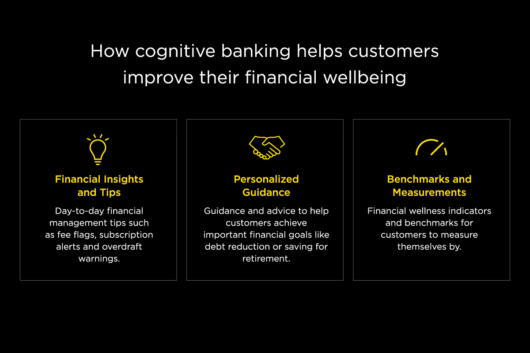 Cognitive banking offers an unprecedented opportunity for banks to help customers strengthen their financial health. It enables banks to learn deeply about their customers, understand their needs and intelligently engage them. Leading banks across the country are well underway exploring cognitive capabilities to transform the way they serve and engage customers. The race has begun towards the cognitive bank of the future, a future that looks promising for both the banks and their customers.